Hey friends! One of our families traditions each Christmas is to do our version of the 12 Days of Christmas! 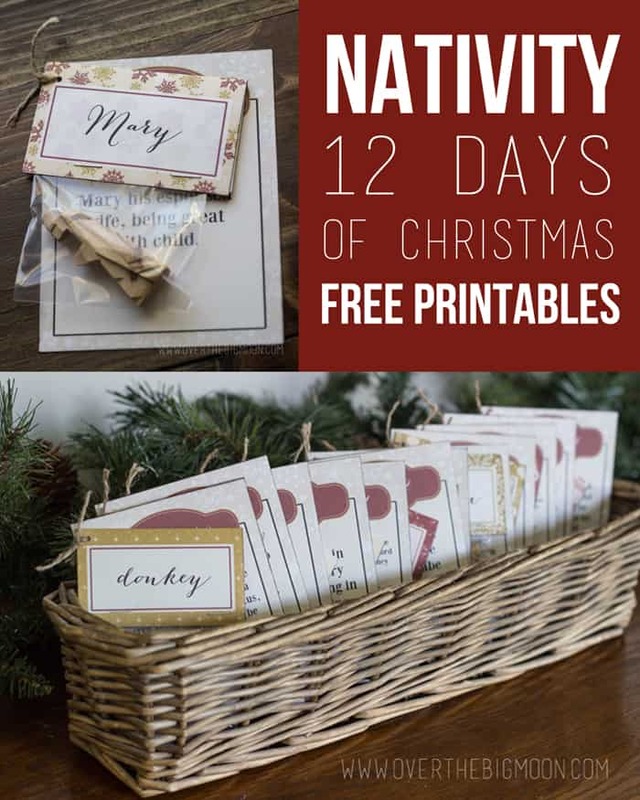 We order a nativity, print the back toppers and scripture cards and then give them to a neighbor or friend! 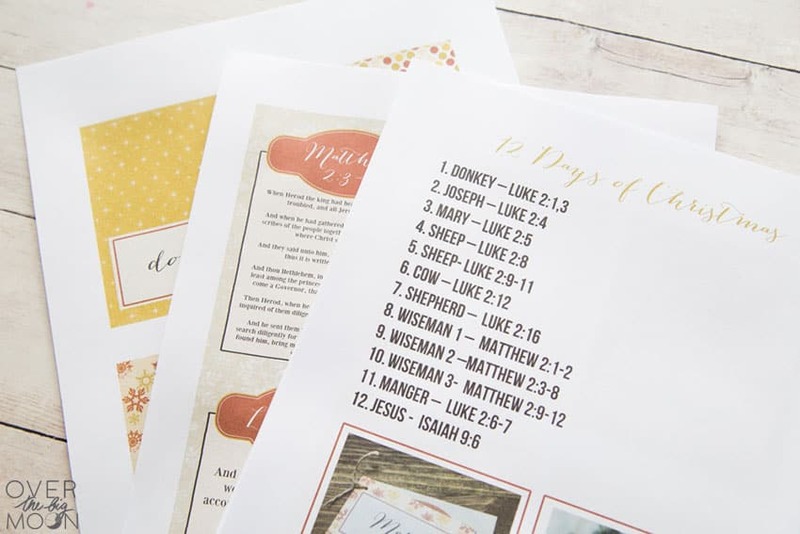 Read below to see more details on the 12 Days of Christmas Nativity Countdown Printables! 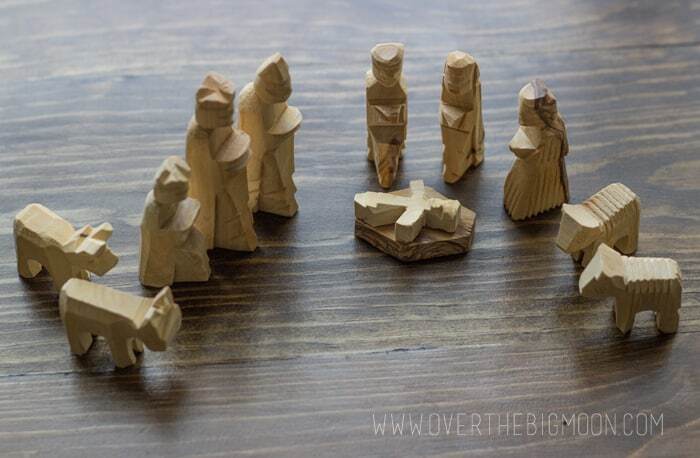 We always buy this Olive Wood Children’s Nativity Set on Amazon. I wanted one that wouldn’t break, so the kids could touch it. I also wanted one that was small and had 12 pieces. I always buy 3 nativity sets so each of my kiddos can choose a family to do the 12 days countdown to! Nativity – we always choose this one! 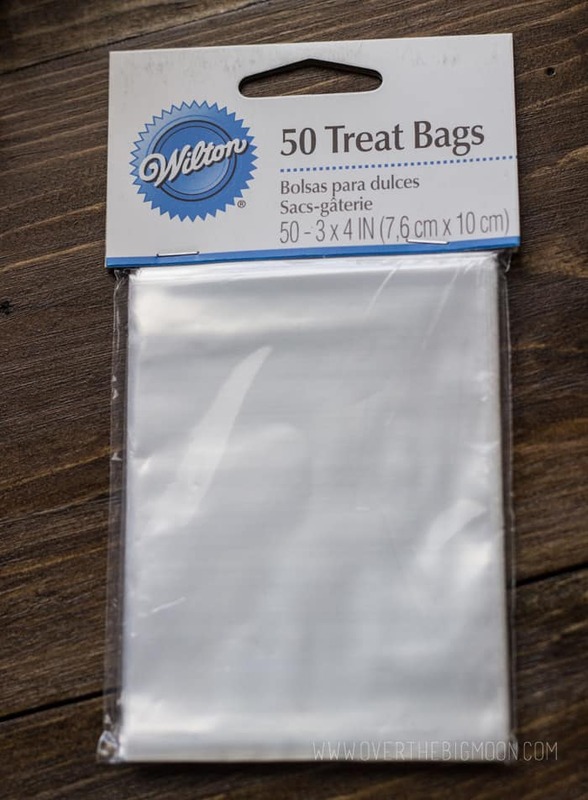 Take your Wilton Clear Treat Bags and put the Nativity pieces in them. 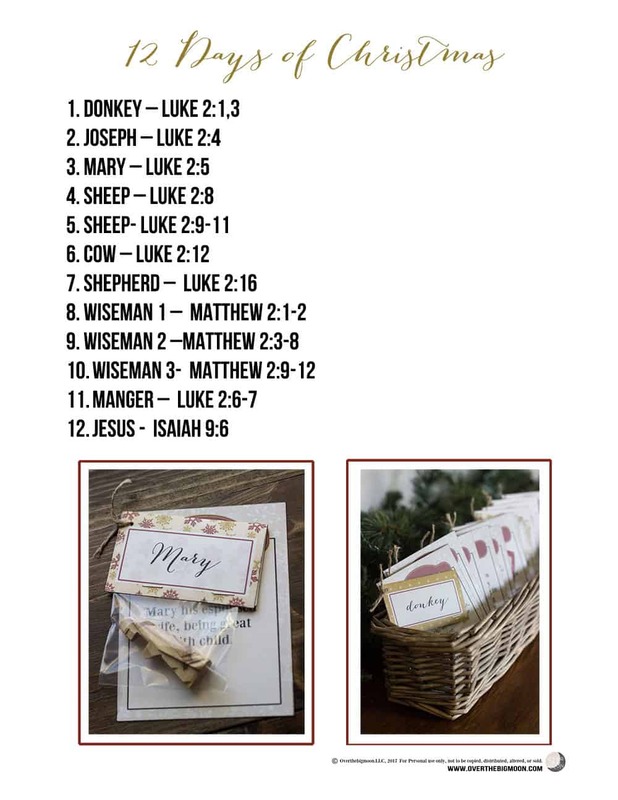 Download the bag toppers and printable scripture cards below. 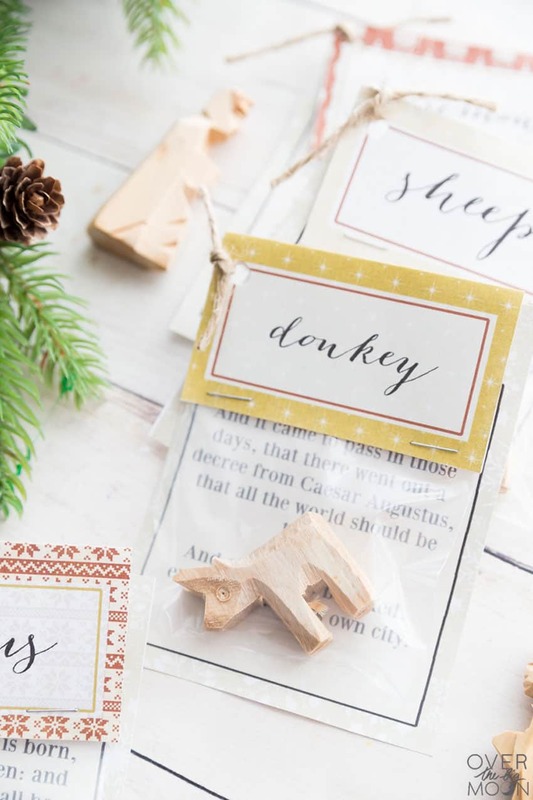 Match the bag topper to the appropriate scripture and nativity piece. 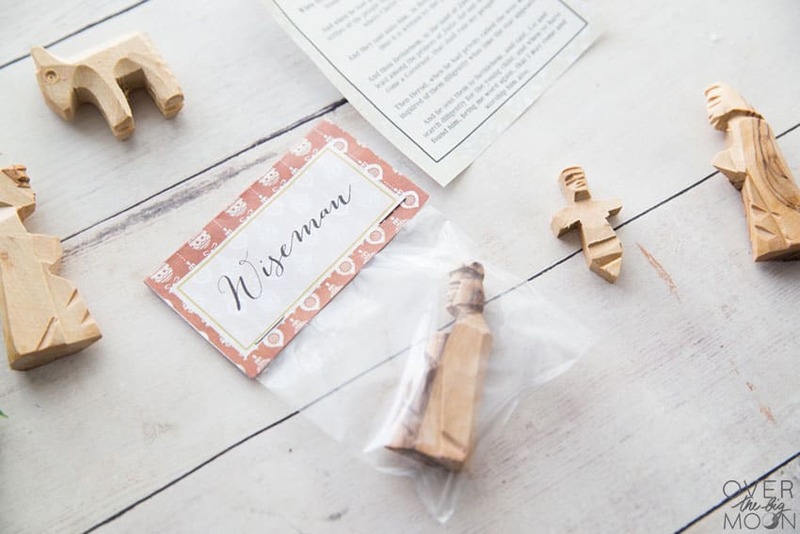 Take the bag toppers and staple them over the bags with the nativity pieces in them. Make sure that you are putting the correct bag topper over the bag with the coordinating piece. Then take a hole puncher and punch a hole in the corner of the bag topper. Do the same to the scripture card that goes with the piece. 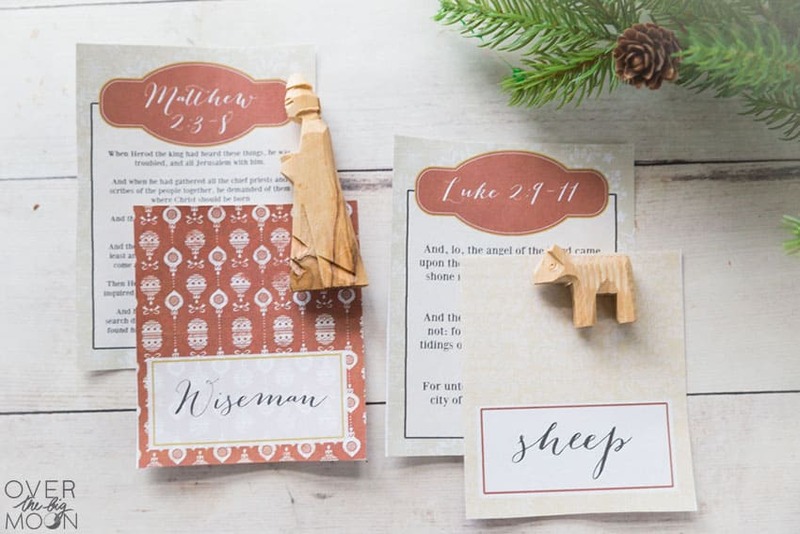 Use some jute twine to attach the scripture card to the bag. 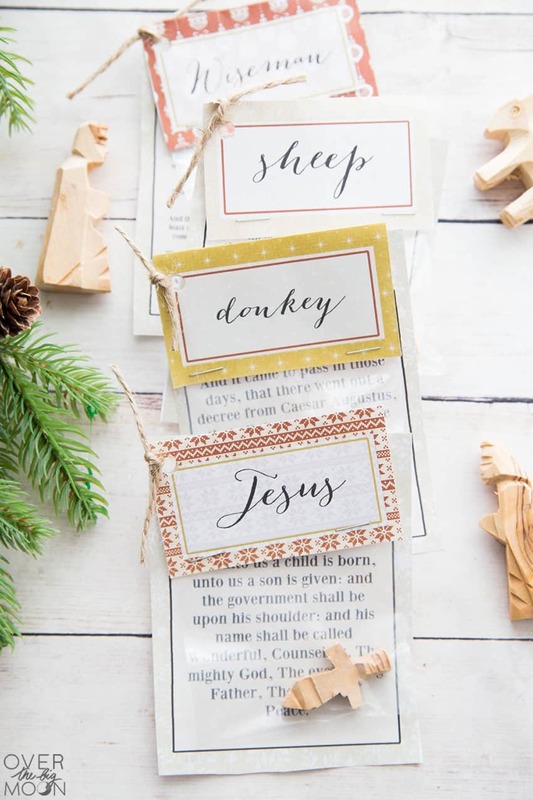 Each day leading up to Christmas, the kids will give a family a piece of the Nativity with part of the Christmas story. Then on Christmas Day we will drop off the piece of baby Jesus. 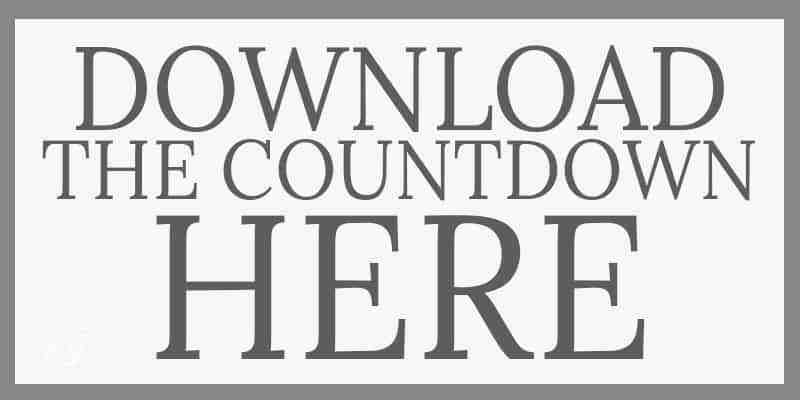 It will be such a fun way to countdown to Christmas! My kids always look forward to this tradition! It’s about time for them to start planning out their 33 stealth missions that they will have to run when the families will be expecting us! We have done the 12 days of Christmas before, but I like that this year we are keeping it focused on what Christmas is really about. 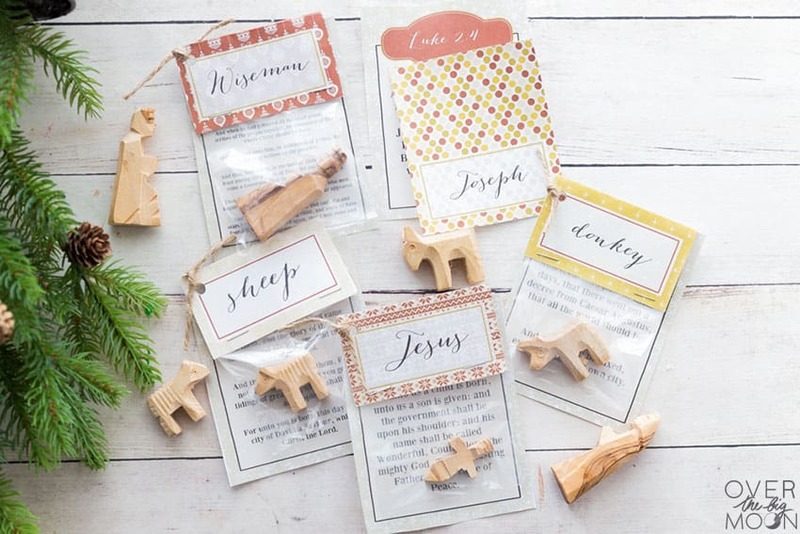 I also am offering the bag toppers blank since you might choose to use another Nativity that doesn’t have the exact same pieces and then you can write the piece name on them yourself. This year our family is rejecting the commercialized version of Christmas. You can read all about our choice here. We love enjoying when our Elf, Jasper comes and plays! 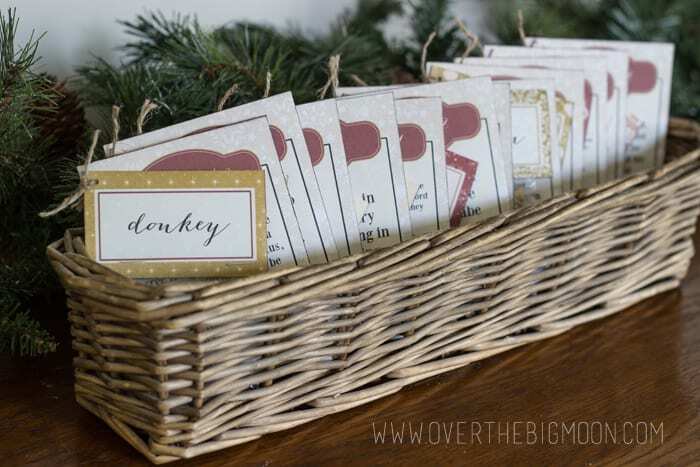 I’ve got TONS of fun ideas and printables to help your Elf season! These Peppermint Candy Cane Sugar Cookies is our favorite treat during the holidays and make an appearance a few times! And Christmas morning we always enjoy my Copycat Cinnabon Cinnamon Rolls! It’s a tradition that won’t ever change! Have a great holiday season friends! A truly lovely idea but doesn’t that confuse the children? The “12 Days Of Christmas” span from December 25 as day 1 to January 5 as day 12 bringing us up to the Epiphany on January 6. The advent calendar is for the preparation of the coming of Christ. I agree. It’s important for children to understand the true meaning of the 12 Days “of” Christmas. On the 12th day, the wise men arrived and presented baby Jesus with their gifts. The Epiphany is also known as the Three King’s Day. Thanks for sharing this. I have been using this, this Christmas (2015) with my 26m old. She is loving it and looking forward to the arrival of Jesus. Admittedly we’re a bit confused about everyone else tipping up before Jesus, but I see what you’ve tried to do here. http://www.www.Facebook.com/nwphotography and including your link. Hope this is okay. what are the missions your boys did with the nativity pieces? I wanted to look into it more and kind of get an idea of how this worked but I seem to missing that detail. Hey Sherrie – they just each took a piece to the family they chose each night leading up to Christmas without that family catching them. They knocked and the family found the piece on their doorstep. I was unable to download the blank tags. I just needed to divide one scripture into 2 for 2 of the figurines and I have a different figurine to add with another scripture. Hey Martine- I just tested the link and it’s working. 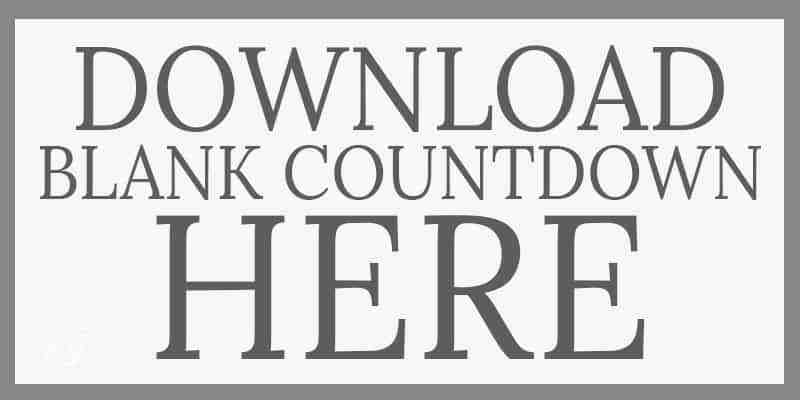 They’ll download as a ZIP file and the you need to uncompress them and then you will be able print them! Good luck! I love this idea so much! Thank you for your generosity in sharing the bag toppers and scriptures. I too, would love to know the font you used, since I’d like to spell it “shepherd” instead of “shepard”. If you have a second to send me the name I’d be so grateful. Just read your post on canceling Christmas and wanted to tell you how I admire your family. Your children will remember the good feelings generated from this brave decision. Heather- we just caught that yesterday! I will be correcting the printable and uploading a new version within the next 24 hours! Check back! Hey Heather- the spelling has been corrected. You can re download the files for the corrected tag! Thanks so much! have a great Holiday season! 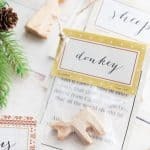 What font did you use for the tags? I LOVE it! It’s a font called Bombshell. I believe it’s one I purchased. Thank you, I am going to send this to my Sister Missionary for Christmas. Such a fun idea! Thanks for sharing Christi! I had a class mate in high school whose father was a church minister, and the family never exchanged Christmas gifts amongst themselves. 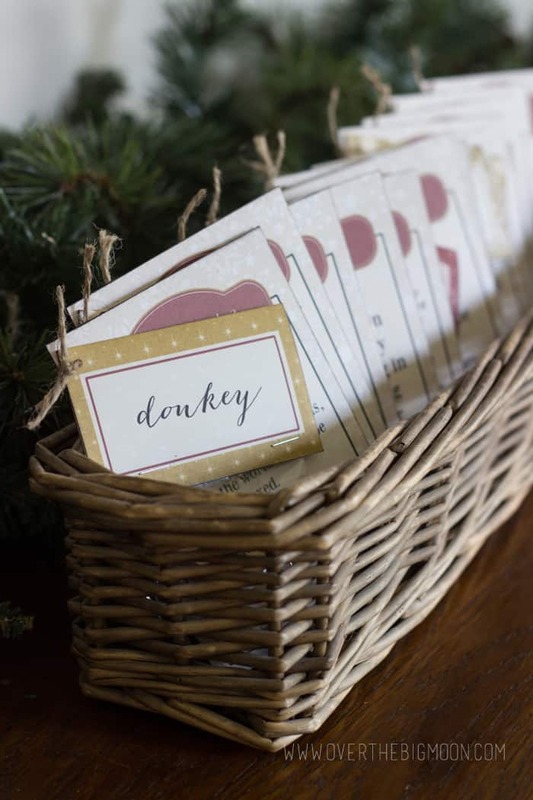 Their reason was that the stress and worry of buying the “right” gift for others and wondering what one would receive took away from the meaning of Christmas — i.e., the celebration of the humble birth of the Christ child in a smelly, dirty stable. (It would not have passed any of the modern day health or sanitation standards, that’s for sure!) I have no children, but I think you are doing the right thing for your boys by keeping Christmas simple and putting the focus where it should be. If you read history, you can tell that the advent of a rotund Santa Claus, and the emphasis on presents, presents, PRESENTS!! came about only in the latter half of the 20th century. (My mother who grew up during the Great Depression once told me fondly about receiving an orange for Christmas and what a treat it was.) Bravo to you and your husband, and may you have a joyous Christmas!! I’m having the same problem with the non-blank cards. Do you mind sharing your scripture cards as well? I would love to use them. Thanks so much. having trouble getting the non blank cards- says i must log in? Sorry about that! Pam will be home in about an hour and can fix it for you!